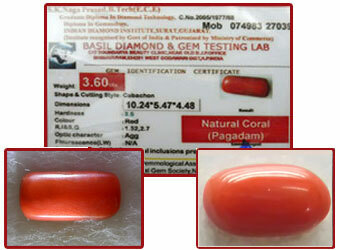 Precious gemstone Coral is also known as Moonga. Coral is found in many shades of red and pink. Coral associated with the planet Mars. 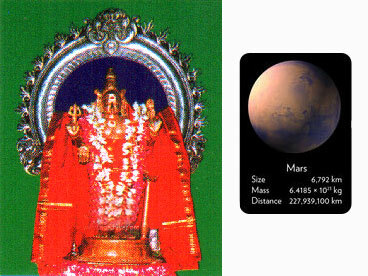 It supports and promotes the refreshing qualities of mars planet. The color of Coral usually ranges from white to pink to vermilion red and deep red. Corals or Moonga of yellow ocher, cream, chocolate and black color are also available. This deep red colored gemstone bestows upon person self-confidence and managerial abilities. It is assumed that the genuine Coral warns the wearer of coming ill health by varying its color and avoid bad dreams and nightmares. Signs of well-placed coral are acquiring properties, mechanical and technical jobs, physical strength, forcefulness, Rapid advancement and success, great energy and motivation, ambition, courage, charisma and leadership. It will make the wearer brave yet prudent.